In summer we spend all the time we can down on the boat hoping for some good weather, some swimming, some sunbathing. 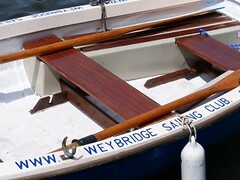 I take photos of swans & seascapes & swimming & other boats & sunsets at sea. In Autumn we go for lots of walks, I take loads of photos of the changing colours, and the low light brings out the intense colours in nature. This entry was posted in Animals, Birds, Blogging, Parakeets, Photography, Snow and tagged Changing Seasons, Parakeets, Photography, Postaday, Snow, Weekly Photo Challenge. Bookmark the permalink. Wow!! I had no idea such beautiful, and colorful birds could live in that climate. Great pictures! I will never forget when I first saw them, I was convinced they must have escaped from somebody’s aviary. It is hard to believe they have settled here, the weather is cold for them and very changeable! Fantastic pictures! We do not have birds like that in the United States (or that I have seen)! It was neat to see the “change of seasons”, and how you captured the parakeets in both scenes! 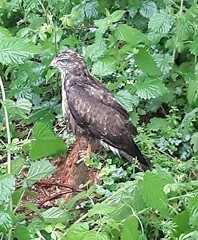 Thank you 🙂 I was looking for a photo of them in summer too, but it is much harder to see them because they hide in trees with green leaves, and we don’t fill our bird feeders with nuts in the summer as there is plenty of food for them. I’ve seen parakeets in downtown Chicago during the dead of winter — I am sure all of them had escaped from their cages earlier in the year — and I always wondered if they could survive till Spring. I can’t wait until I get my new camera (Must be a good girl, Must be a good girl!!!) and have a bigger lens. They are so stunning close up, especially starlings… My house may well get rearranged in January to make way for my tripod in front of the window!! Thank you 🙂 This blog is becoming a very parakeet-y place. Wilson will be jealous!! I love the photos of snow. We don’t really get to see that here, so I love seeing photos from other countries. Great shots. Didn’t know they could survive in the wild like that. Beats changing the paper at the bottom of the cage though.